King of comedy again arrives on Sony TV with King of Bollywood “Shahrukh Khan”, Anushka Sharma Kohli, Katrina Kaif. The new show of Kapil Sharma is ready to telecast on 23rd December (Sunday) on Sony TV the timing of the show is 9 PM. Kapil Sharma is also a very talented guy in the stream of comedy, he’s the King of Comedy. Old Cast of previous Kapil Sharma’s show but now Sunil Grover as “Guthi” in a show are not returned with Kapil Sharma’s show. Bharti join and the entertain the show. 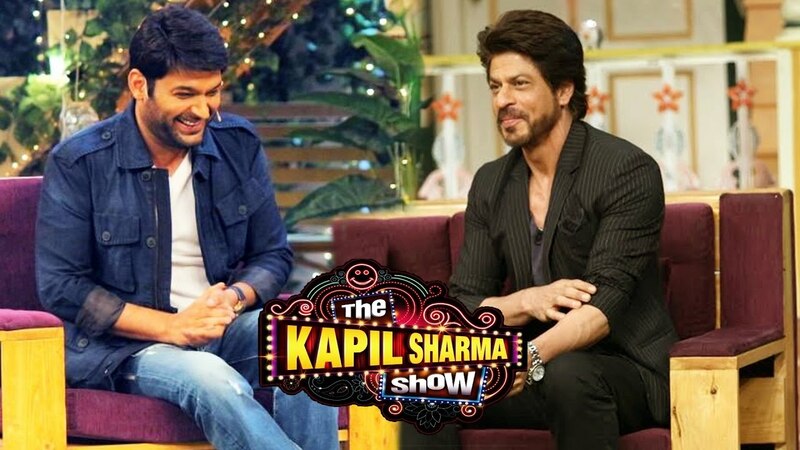 23rd December first episode of Kapil Sharma’s Show with none other than the Baadshah of bollywood Shahrukh Khan, Previous season of Kapil Sharma’s shows also start with SRK in Delhi through his FAN movie. Previous show is also super hit but through some crises show will closed, and now again because of popularity also. Popularity of SRK is enough to say is the also another reason is TRP of first episode of Kapil Sharma’s show is on high level. Upcoming movie ZERO people also very loved it, the trailer and album song of the movie. Through promotion of Zero movie Srk came in the Kapil Sharma’s show. The friendship bond between SRK and Kapil Sharma is very strong and popular. SRK also help in his career. The SKP (Salman Khan Production) take headache of produce the show. So, production of Kapil Sharma’s show is finalized by Salman Khan. The show before telecast also people loved it, because every one love to laugh. Everyone enjoy the Kapil Sharma’s show in previous show also. On the public demand Kapil return on the National TV Show only on SONY TV. Previously, Kapil Sharma promote his show with the help of KBC (Kaun Banega Crorepati). Kapil Sharma share the screen with Shehensha of Bollywood MR. Amitabh Bachchan in KBC on SONY TV. Kapil Sharma is not good in a bollywood movies, they gave 2 movies like- “Firangi” and “Kis Kis Ko Pyaar Karoon” movie is not have a good business at box-office and in he’s fan following and public also gave the low reviews about the movie and the script of movie. But in comedy no one are beats Kapil Sharma. People also love him in a comedies shows. So, People also excited about the show and first episode also with Charming King Khan,very talented Anushka Sharma Kohli and beautiful Katrina Kaif. The whole team of ZERO movie on the sets of Kapil Sharma’s show.